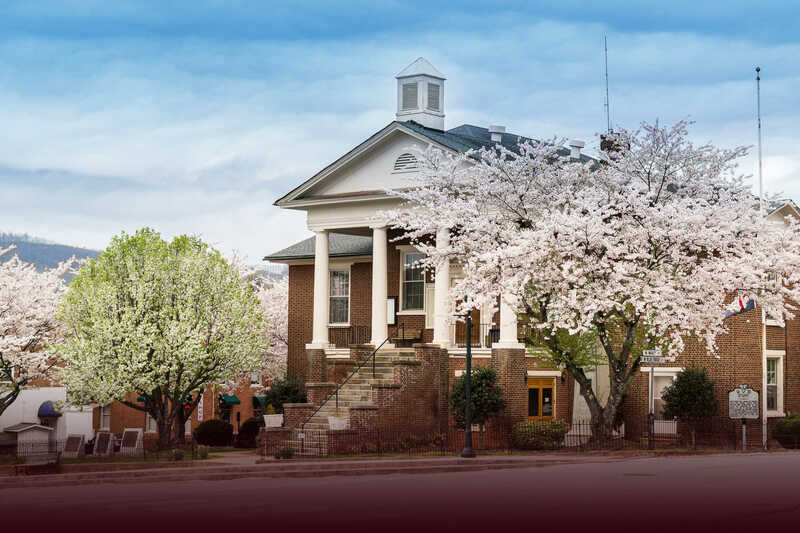 Are you an uninsured woman living in the areas of Patrick County, Henry County and Martinsville. 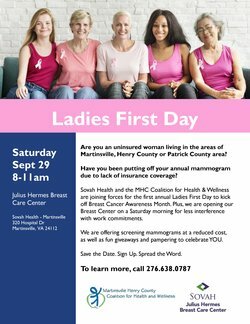 You may be eligible for "Ladies First Day" sponsored by the Martinsville Henry County Coalition for Health and Wellness will offer mammogram screenings on Saturday, September 29th, 8 AM to 11 AM at SOVAH - Julius Hermes Breast Care Center, 320 Hospital Drive, Martinsville, Virginia 24112. Please see attached flyer for qualifying participants.